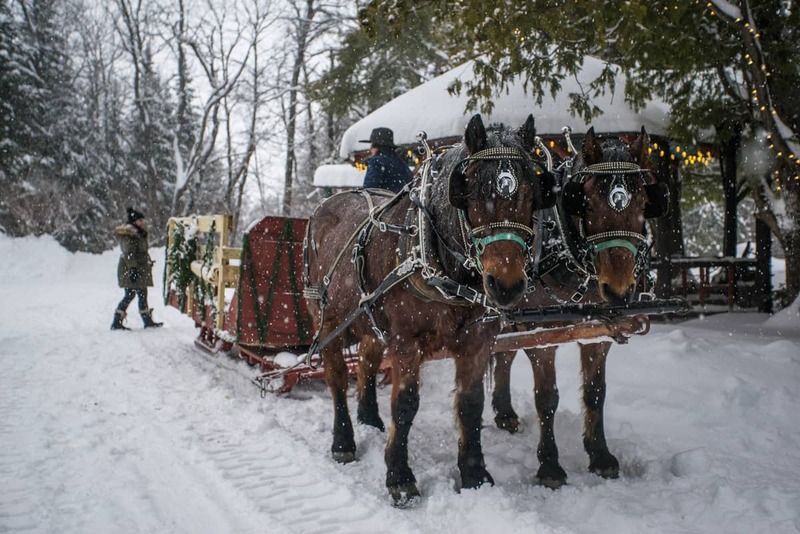 By booking a package, you receive the ability to reserve your sleigh ride between the preferred times of 6:00 PM and 7:00 PM. Additionally, you will be given the password to enter the Speakeasy through the hidden door! All stay packages include the use of our Cross-Country Skis and Snowshoes as well as our groomed Nature Trails!